“Modernization can be an attractive business option for extending the service life of older vehicles or equipping them with state-of-the-art technology. It allows them to benefit from the latest technologies and ensures a secure supply of spare parts in years to come,” explains Dr. Jürgen Wilder, Member of the Executive Board of Knorr-Bremse AG with responsibility for the Rail Vehicle Systems division. “Until now, the work of our modernization specialists at Knorr-Bremse RailServices ended once the retrofit was complete. 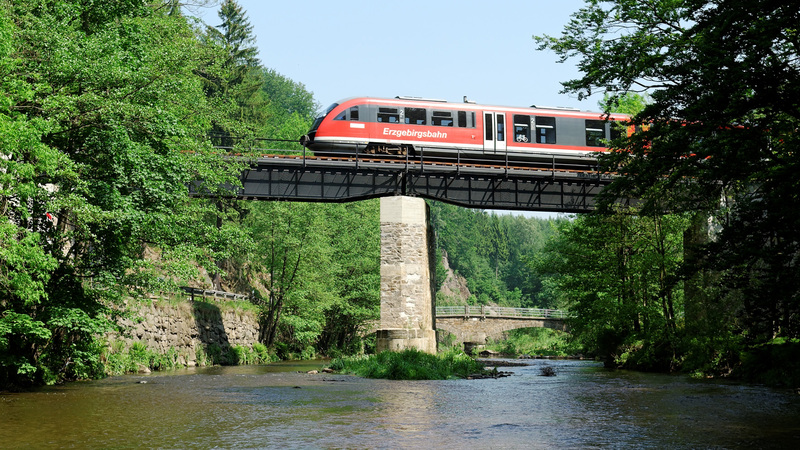 By obtaining the ‘authorization for placing in service’ from the German Federal Railway Authority, they have now filled the last remaining gap in their service portfolio, allowing them to provide full braking system modernizations including the final vehicle approval, all from a single source.” The authorization is also a milestone for Knorr-Bremse’s next-generation ESRA 3.0 brake control systems. Knorr-Bremse RailServices obtained approval for volume production in the course of a project to retrofit a Desiro Classic VT 642 vehicle belonging to Chemnitzer Erzgebirgsbahn with the ESRA 3.0, replacing its ageing MRP brake control system. “The Desiro fleet’s current brake control system was designed in the mid-1990s,” explains Mark Cleobury, Member of the Management Board of Knorr-Bremse Rail Vehicle Systems. “Spare part stocks for certain electronic components are dwindling rapidly, potentially jeopardizing the smooth operation of scheduled services,” he adds. A modern wheel slide protection system – the ABS system for rail vehicles – is also fitted alongside the new brake control system. The “authorization for placing in service” (Inbetriebnahmegenehmigung – IBG) issued by the Federal Railway Authority makes life a lot easier for Desiro Classic operators: If their VT 642s are retrofitted with the new brake control system by RailServices, vehicle approval is granted almost automatically. The IBG also has significant market potential for Knorr-Bremse. The Desiro mass transit multiple units are a familiar sight on railroad lines, particularly in Europe. “There are between 600 and 700 vehicles in service worldwide,” says Cleobury. “Before long, they will all be facing the problem of shrinking stocks of electronic spare parts.” Although the Federal Railway Authority authorization does not guarantee full compliance with the regulations of all other countries, the vast majority of national authorities require very little additional certification to recognize German approvals.